Join us for the NEW Los Alamos Summer concert Series. The Secret City Summer Concert Series. Food trucks from around the state. All concerts will take place at Ashley Pond Park, Los Alamos, NM. 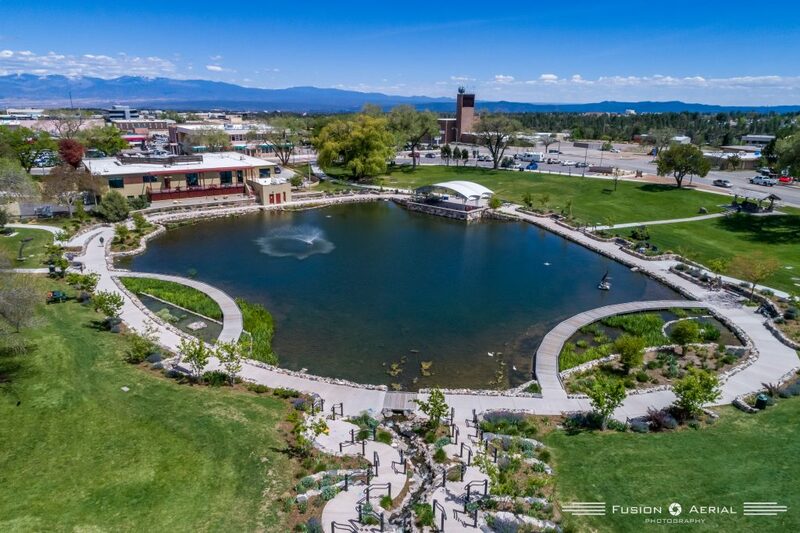 Sancre Productions will be hosting Nonprofit Row, a dedicated area of Ashley Pond’s green scape to exhibit nonprofit organizations in Northern New Mexico that are working to make a difference. Sancre Productions is committed to finding nonprofit community partners to help make the concert series inclusive and supportive to community groups, student groups and nonprofits. Each concert will open with a local student dance or music performance. Sancre Productions is committed to showcasing area youth and local talent. Food Trucks from all over the state will be offering sizzling eats and yummy treats. Rolling Still Distillery and Bathtub Row Brewing Co-Op are providing the best craft beverage selection to concert attendees at each Friday Concert. More shows to be added shortly. Russ Gordon started Gordon’s Summer Concert Series in his White Rock Record store parking lot before moving it to Ashley Pond in the heart of Los Alamos. For 29 years he brought entertainment from all over the world to the delight of generations of Los Alamosans. He is a pioneer, a legend and we are forever grateful to Russ and his family for laying the groundwork for the Secret City Summer Concert Series that is now being produced by Sancre Productions and the County of Los Alamos.